Let's be real: when's the last time you did a big Spring clean? With Summer fast approaching, time is running out to start the season fresh. Still, a big bedroom overhaul is exhausting. Who has the time? Each year, I make sure to do a good Spring clean, paring down the stuff I don't need, and organizing what I do. I have my process down, so it requires only a couple of hours. And the best part? Replacing all those home decor elements that are no longer working for me with things I've had my eye on! Ready to liven things up? Here's the quick guide to refreshing your bedroom for spring, Urban Outfitters style. First thing's first: Open all the windows wide and let in the fresh air. You're going to need light to work. And speaking of fresh, my absolute favorite thing about cleaning my room is fresh sheets and duvet. If your old bedding has seen better days, it might be time to replace it. Now that your room is nice and bright, bring in a potted plant or two to really liven up the place. It will feel like a whole new room. There's just something so clean about plants, no? Shop: Macrame Planter Wall Hanging, Wyn Woven Planter Basket, Sleepy Kitten Planter. Sort through everything you have, working on one part of the room at a time. Put things into three categories: keep, donate/give away, and if it's a complete lost cause, throw away. If you're overwhelmed, try the Marie Kondo method: Start with clothes, then follow with books, paper, and sentimental items last. It's time for arguably the least enjoyable task: get the areas that seldom see any dusting. Wipe down everything possible, including light switches and door frames. This is also a good time to throw rarely cleaned textiles like rugs and curtains in the washer (but make sure to read the wash instructions first!). Give your room a quick vacuum to finish up. If your space needs a fresh coat of paint but you rent, the time of wall color oppression is over. You can buy the coolest peel-and-stick wallpapers to completely redesign your apartment, bedroom, whatever! Just peel off to remove. Shop: Pink Current Wallpaper, Bathing Beauties Wallpaper, Fade Away Wall Mural. Invest in some wall art. Even if you're not up for an entire wall overhaul, one the quickest ways to update the look and feel of your room is to hang some wall art. Whether you frame one statement piece, hang a vibrant tapestry, or tack a bunch of photos and magazine clippings up for inspiration, trust me; your room will have a whole new vibe. 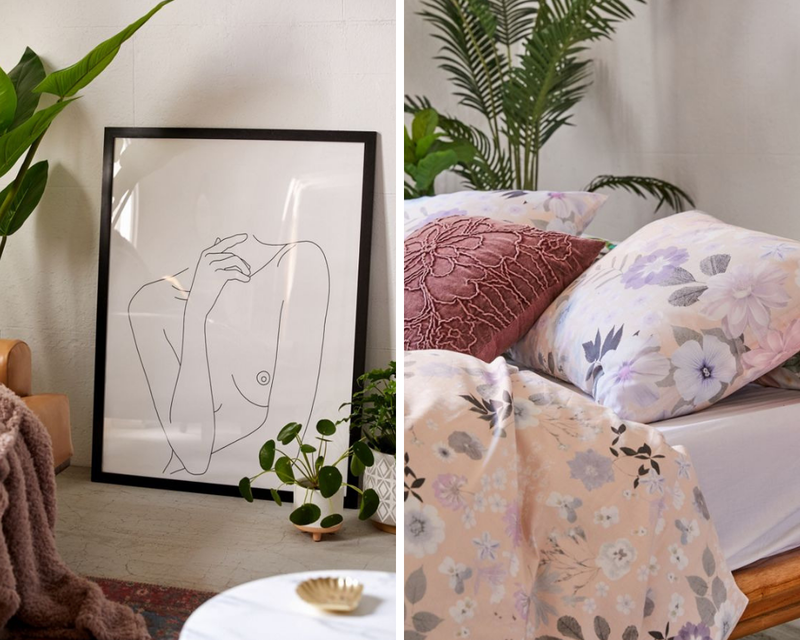 Shop: Take It Easy Tapestry, Alja Horvat Art Print, The Colour Study Cecily Art Print. This step really requires a guide all its own, but if you can handle it, go for it! Take everything from your closet and go through your wardrobe, sorting into those three piles again. Put the keepers back in. Bonus points for hanging your clothes by color. Get rid of anything you don't/won't use or anything past its expiration. Mascara and eyeliner last two to three months, foundation is good for six to twelve months, and lipstick and eyeshadow are usable for a year or two. Think about making some planet-friendly changes. So many big name grocery and takeout companies are moving away from using unnecessary paper and plastic utensils. It's a great time to grab some of these super cute reusable food storage options. Shop: Bento Boxes, Life Without Plastic Juco Sandwich Bag, Noodle Bowl & Chopstick Set. Voila! Now you're ready to relax in your fresh new space. Enjoy! Do you take part in a big spring clean? Let me know below!